About: In the last quarter of the 16th century, Feagh Mac Hugh O’Byrne was the pre-eminent Gaelic chief in Leinster and was a constant thorn in the side of the English authorities. He was known as the ‘Firebrand of the Wicklow Mountains’ and this article explains his rise and fall. WW Connection #1: The O’Byrne territory ranged across the Wicklow mountains, West and East. Extra #1: includes illustrations and map. Extra #5: This article is an abridged version of an essay which won the Irish Chiefs’ Prize in History 2013. The full essay is entitled ‘Burning their bridges: the opposition of the Gabhal Raghnaill and Feagh Mac Hugh O’Byrne to the process of Anglicisation during the long sixteenth century’. Publisher / Place of Publication: Code Green Publishing / 28 Charles Street, Coventry, Warwickshire, CV7 8GL, United Kingdom. 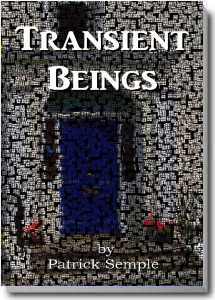 About: A novel which places a rector’s family and family life directly on a par with that of lay people. Everyone has the same problems, doubts and difficulties. Can a city-born rector’s wife handle country living without resorting to the bottle? Can the rector overcome his doubts about his religious faith? This book is printed on demand and can be ordered online or via bookshops. WW Connection #1: The author was one time rector of Donaghmore and Donard Parish. Extra #1: Opening line: ”It’s all very well for you”, Jennifer would say, “I know you once worked in a bank, but you were brought up on a farm so you know the ways of these country bumpkins”…. When Viewed: Contents described are those showing when viewed in January 2014. Publisher / Place of Publication: National Archives of Ireland / Bishop Street, Dublin 8. About: Tithe Applotment Books were compiled between 1823 and 1837 in an attempt to determine how much the holders of agricultural land over 1 acre should pay in taxes or tithes to the established Church of Ireland. These books list the name of the head of each relevant household outside of urban areas. A Tithe Applotment book was compiled for each Church of Ireland parish. Some of the transcribed names of people and places are not 100% accurate, but the original entries may be viewed for clarification. Hat-Tip: To the Genealogical Society of Utah and The National Archives of Ireland who have arranged for the digitisation of these records and their free accessibility online. About: The seventh publication of a set of articles on aspects of West Wicklow history. This issue contains articles featuring locations from Coolattin to Croatia. It even strays into east Wicklow with an article on Charles Stewart Parnell and his times by Mary Bergin. However, the major article runs to almost a quarter of the entire publication and is a substantial essay, by Dunlavin native Chris Lawlor, on Feagh Mac Hugh O’Byrne. Contents: Preface from the Chairman — Ramblings of the Secretary — A man of integrity? The varying roles of Robert Chaloner, Earl Fitzwilliam’s land-agent during Black ‘47 / Fidelma Byrne — Contextualising a chieftain’s career: the case of Feagh Mac Hugh O’Byrne / Chris Lawlor – Wicklow Farm Labourers: a facet of the 1880s Land War / Pádraig G. Lane — The RIC and the IRA in Wicklow’s War of Independence / Kevin Cullen — Constable James Stephen Cunningham and his family / Shay Cunningham — Some facts about the activities of Mark Forstall in Croatia / Luka Vukusic – Scurlock’s Graveyard / Brian McCabe — The annual inspections of the Dublin & Blessington Steam Tramway Company in 1912 and 1913 / James Scannell — Donard’s New Church, 1925 [from the Leinster Leader Saturday, 18th July, 1925] — The Wicklow landlord who held sway over the British Empire: Parnell and his times / Mary Bergin — Raids, robberies and attacks: West Wicklow during the Civil War / Jason Lawlor. Extra #1: Contains several black & white photographs and maps. Publisher / Place of Publication: W. H. Allen & Co. Ltd. / 44 Hill Street, London W1X 8LB. About: A collection of published and unpublished articles, essays and other writings all of which have ballet as their theme. The author was the founder of Britain’s Royal Ballet and spent over thirty years as its director. Contents: Prologue – Introduction – [Phase I – The 1920s and the 1930s] The traveller: a pupil and her teachers — The formation of an establishment: Life at ‘the Wells’ — Lilian Baylis — Extracts from ‘Invitation to the ballet’ — A tribute to the Mercury Theatre — [Phase II – The 1940s and the 1950s] Five architects of the ballet: Constant Lambert, Frederick Ashton, Robert Helpmann, Margot Fonteyn, Sophie Fedorovitch — The Royal Charter: a memorandum — The English Ballet: a lecture to the Royal Society of Arts, 1957 — [Phase III – The 1960s and the 1970s] Gemini: two studies — John Cranko — Kenneth MacMillan — The stranger in our midst: a portrait of Nureyev — Choreography — Movements — [Impressions] A visit to Russia: 1957 — The Turkish State Ballet — Diaghilev — W. B. Yeats — What makes a dancer’s life — Epilogue — Index. 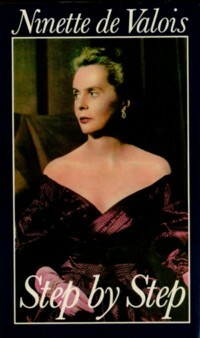 WW Connection #1: Ninette de Valois (née Edris Stannus) was born at Baltyboys, Blessington, Co.Wicklow in 1898. The family moved to England in 1905. Extra #3: Contains thirty-two pages of photographs. Extra #4: For information, the author was awarded the Erasmus Prize in 1974 for her contribution to European culture. 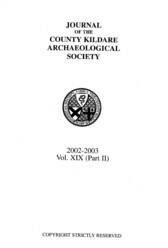 Publisher / Place of Publication: Co. Kildare Archaeological Society / Kildare. About: An essay which examines how, in the second half of the seventeenth-century, a ‘new’ Dunlavin came to be established on the site that it now occupies. In particular, the author examines the role of the Bulkeley family, especially Richard Bulkeley, Second Baronet of Dunlavin. Although it was a ‘planned town’ not all plans came to fruition, and over the subsequent centuries unforeseen developments occurred. Extra #1: View the entry for ‘Dunlavin’ in the Placenames Database of Ireland. Publisher / Place of Publication: Wicklow County Council / Wicklow. About: This comprehensive listing and brief descriptions of more than 500 protected structures throughout all the county is Appendix 4 of the second volume of the Wicklow County Development Plan covering the period 2010 to 2016. It covers all types of structures including private houses, country houses, rectories, churches, commercial buildings, bridges, schools, pubs, hotels, street furniture etc. Extra #2: View / Download the full text of this publication (pdf file) via Wicklow.ie website. Extra #3: Each entry is accompanied by a colour photograph. About: The property tax system of 1850’s Ireland. It was the first major attempt at valuing property. This section lists householders in the Parish of Rathbran, part of the area covered by the Poor Law Union of Baltinglass in West Wicklow. Contents: Ballinacrow Lower — Ballinacrow Upper — Ballyhook — Ballyhook Demesne — Ballyhook Hill — Ballynatone — Gibralter — Goldenfort — Kill — Manger — Mattymount — Raheen — Rampere — Rathbran — Saundersgrove — Saundersgrove Hill — Scurlogue — Stratford — Town of Stratford — Tuckmill Hill — Tuckmill Lower — Tuckmill Upper — Winetavern — Town of Stratford. Extra #1: Read the entries for GV Rathbran Parish (pdf file). Publisher / Place of Publication: Sara Editions / The Lodge, Cronybyrne, Rathdrum, Co. Wicklow. About: This book is listed as being No.1 in the Irish Historic Villages Series of 2013. It would seem to be an alternative edition of a similarly-titled publication first issued by Wicklow County Council in 2011. It is a full-colour A4 sized book which traces the development of villages in County Wicklow between 700 – 1900, explaining how history, the natural environment and the buildings make them what they are today. Contents: The Wicklow Village — Monastic settlements — Estate villages — The Picturesque — Chapel villages — Legacy — Catalogue of villages. Extra #1: Includes colour photographs on every page. Extra #3: Check OCLC WorldCat.org for this publication in libraries worldwide (2011 edition).